Si sta acquistando una ventola del ventilatore del nuovo riscaldatore del pezzo (motore) solo per Honda FR-V 2005-2009 LHD. Forniamo ricambi per auto Honda usate, nuove parti di copia quindi rivolgetevi a noi in sicurezza (vetture da 92 ora). Part number: 8310030352. HONDA FR-V 04-09 HEATER BLOWER MOTOR FAN. Shelf location: HEATER BLOWER MOTORS. Wing Mirror Type. Engine Size. 6 Speed Manual. Screws, nuts and bolts are also classed as a free gift if included. 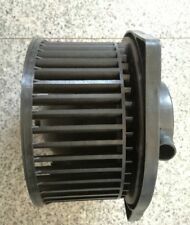 Heater blower motor fan. Honda FR-V SE 1.7 i-VTEC 5 door MPV 2005 - colour code B531M. - This does not include Scottish Highlands and Islands, Ireland, and North Ireland. 2,2ltr/ 103KW/ 2204ccm. Felgen / Reifen. autoteile-zell 2010. Unsere Teile werden vor dem Ausbau überprüft und wir beschreiben unsere Teile bestmöglich. Gewährleistung besteht nur bei Einbau einer Fachwerkstatt. Part number - 2S96030820. Heater Flap Motor Actuator Unit. / 103KW 05-09. 2.2 ltr / 103KW / 2204ccm. HONDA FR-V. Profilo del venditore. Renault Laguna Grandtour KT0 sterzo nocca. Sterzo nocca Hyundai Sonata V. Nissan X-Trail T31 sterzo nocca. KIA Opirus sterzo nocca. Heater Blower Regulator for Honda Civic, FR-V. OE Numbers: 79330-S6M-941, 79330S6M941. 2005-2009 HONDA FRV HEATER BLOWER MOTOR. Regolatore ventola riscaldatore per Honda Civic, FR-V. # MT-K106047. Honda FRV 2005-2009. Honda RSX 2005-2009. NEW BLOWER FAN MOTOR HEATER RESISTOR. Honda Civic Mk7/Mk8 2000-2011. Honda Accura 2002-2008. Manufacturer Part Number DCN40005. MPN DCN40005. Part_Number DCN40005. Cross Reference 940237. DENSO Candele. Candelette Denso. Sensori di ossigeno denso. Manufacturer Denso. HONDA FRV 2005-2009 HEATER FAN BLOWER MOTOR. Strictly spares or repair due to broken fan shroud. The motor is perfectly working simply swap over fan shroud simply DIY swap over amd huge money saving. 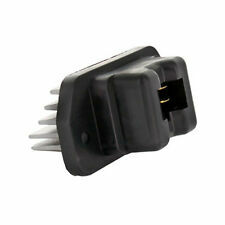 Original part number for reference only: 79310-S6M-A42. Sie kaufen ausschließlich Kopierer Heizgebläse (Motor) für Honda FR-V 2005-2009 LHD. 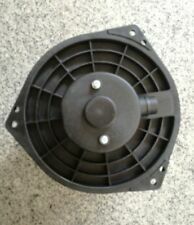 You are buying new copy part heater blower fan( motor) for Honda FR-V 2005-2009 LHD only. FR-V 2.2 i CTDi 103KW 140CV 07/2005> KS10. RESISTANCE CHAUFFAGE VENTILATEUR HONDA. POLITIQUE DE CONFIDENTIALITÉ. PROBLEMÈS?. DROIT DE RENONCIATION. Demande de facture. CORRESPOND AUX RÉFÉRENCES SUIVANTS (OEM). FR-V 2.0 110KW 150CV 02/2005> KS10.6047_V. RESISTANCE CHAUFFAGE VENTILATEUR HONDA. POLITIQUE DE CONFIDENTIALITÉ. PROBLEMÈS?. DROIT DE RENONCIATION. Demande de facture. CORRESPOND AUX RÉFÉRENCES SUIVANTS (OEM). FR-V 1.7 92KW 125CV 08/2004> KS10.6047_V1. RESISTANCE CHAUFFAGE VENTILATEUR HONDA. POLITIQUE DE CONFIDENTIALITÉ. PROBLEMÈS?. DROIT DE RENONCIATION. Demande de facture. CORRESPOND AUX RÉFÉRENCES SUIVANTS (OEM). FR-V 1.8 103KW 140CV 01/2007> KS10.6047_V. RESISTANCE CHAUFFAGE VENTILATEUR HONDA. POLITIQUE DE CONFIDENTIALITÉ. PROBLEMÈS?. DROIT DE RENONCIATION. Demande de facture. CORRESPOND AUX RÉFÉRENCES SUIVANTS (OEM).